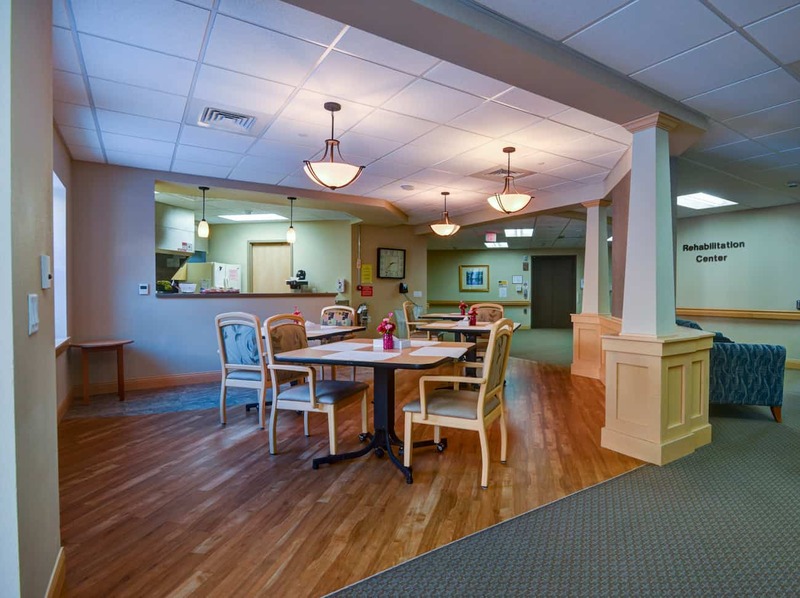 The client requested an addition to their existing skilled nursing facility and assisted living. 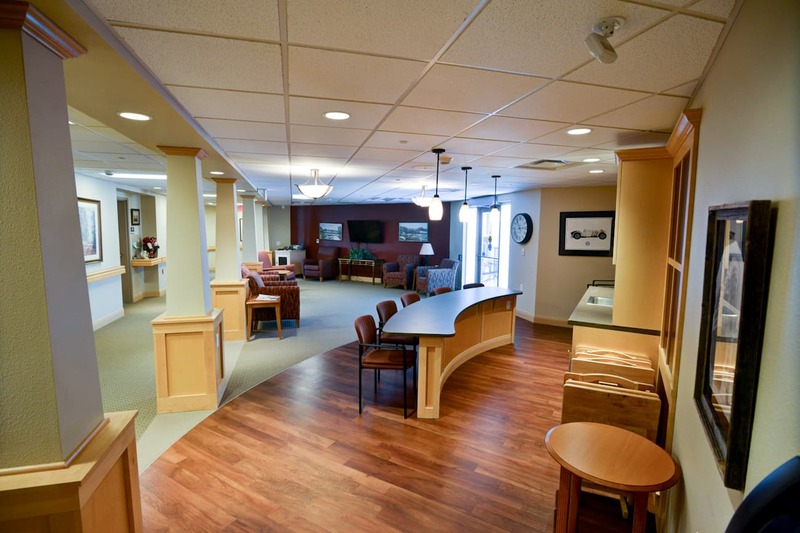 Throughout the senior living design process, we solicited operational input from all staff (not just leaders), as well as input from residents, their families and the local neighborhood association during community meetings. 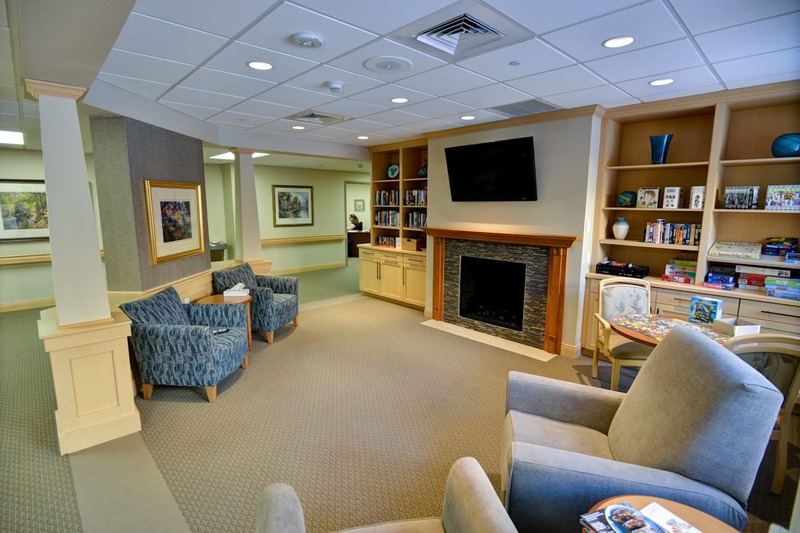 Allow for all private rooms for the health center long-term care and short-term rehabilitation residents – a total of 44 rooms (existing facility had 16 residents in a semi-private shared rooms). 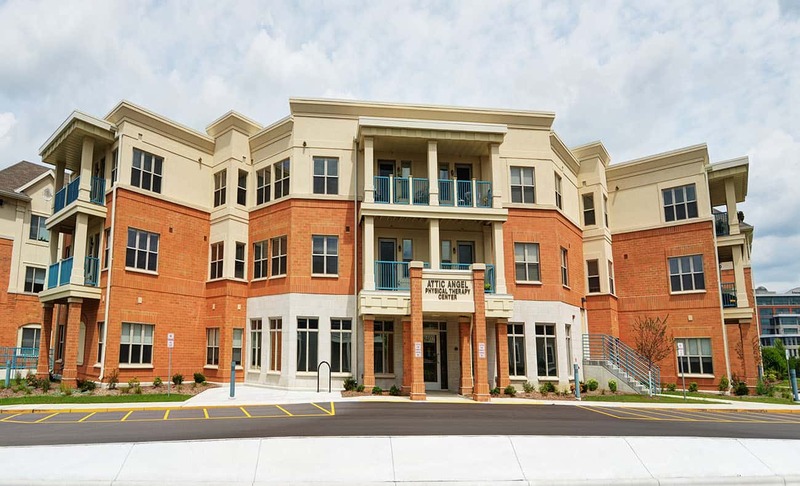 Enhance the existing smallest assisted living apartments. Create a state-of-the-art physical therapy center with private entry near short-term rehabilitation household. Maximize traffic efficiency for staff; minimize traffic disruptions in resident areas. Expand and enhance activity area and resident dining areas. Expand and enhance existing wellness program. Maximize very confined building site, the majority of which contained an outdoor garden space that was heavily used. Honoring aesthetics and mass of existing building while minimizing the impact of the addition on neighboring residents. 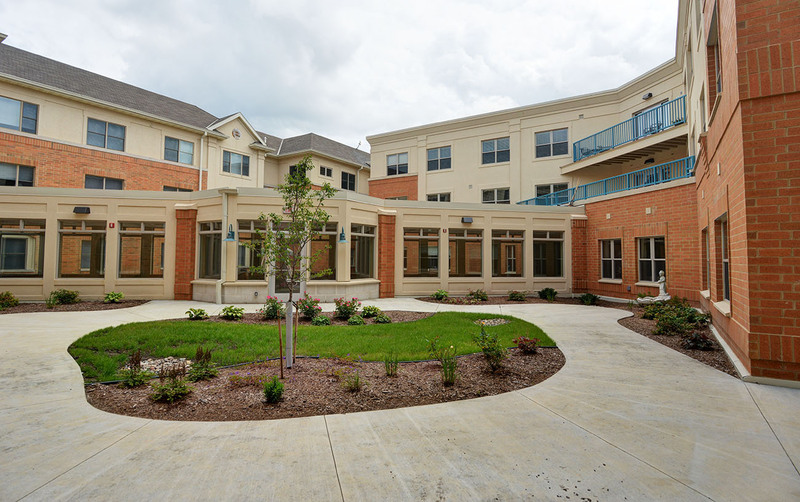 The addition provided connectivity to the existing building at three separate points on the first floor and two points on each of the upper two assisted living floors allowing for efficient travel for staff and residents. 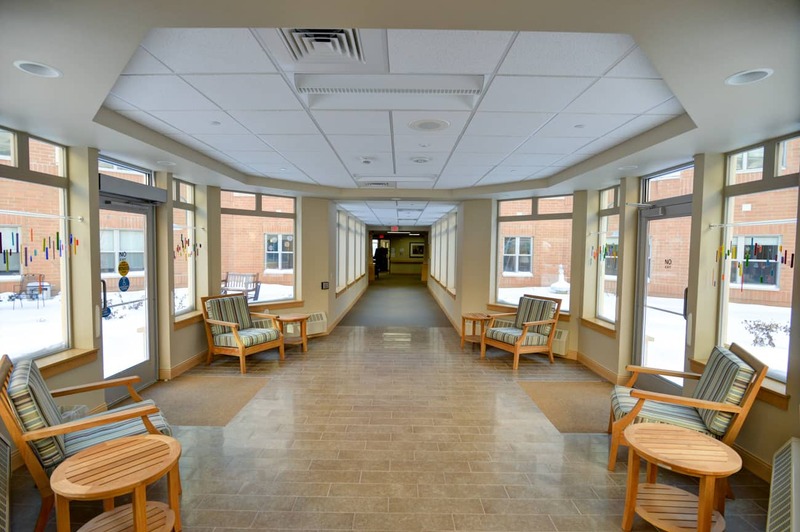 A single-story glazed walkway provides residents and staff with convenient and quick access between resident rooms and amenities in both the addition and the existing facility. A gathering room centralized in the walkway provides for a rest stop or a sunny place for gathering while providing access to two interior courtyards. The addition works contextually with the existing building in materials and detailing. A carefully executed flat roof minimizes the height of the addition and its impact on neighboring residents. Existing spaces were re-shuffled in order to make room for a state-of-the-art exercise studio and fitness equipment center. Additional activity spaces as well as decentralized living, dining and household spaces allow for more options for residents while providing more intimate living spaces.